"Ethyr" synthetic project includes two main components - multichannel audiovisual performance "Polyether" and a set of videos "Monoethyr", which investigate the phenomenon of electronic synesthesia of tele-transmitting devices arising from disturbances of receiving an analog signal, and combines digital glitch-aesthetics of noise and errors with instrumentation of the analog media sphere. The concept of "ether" was used in classical physics to determine the environment in which electromagnetic waves propagate. The theory of the ether was disproved, but the word itself remained to designate the electromagnetic information environment - overall information flows transmitted in the radio wave range. 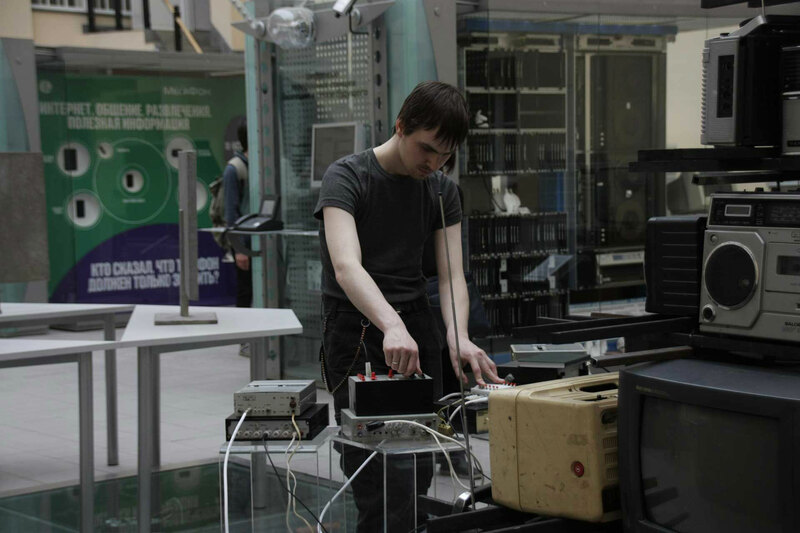 The project "Ether" uses a small cable network, consisting of standard tv-signals generators and color TVs of Soviet production, which are obsolete as technical media, but still remain operational. Such choice of tools allows to build a special kind of bridge between the local technical background and the new media art, based on foreign software and hardware developments, and to imagine what could be the non-existent "unofficial" audiovisual art of the 80s. The TV receiver is used as electronic resonator not only for the reproduction, but also for interpretation of incoming signals that generates sounds in addition to the visual component as a result of different video patterns interference in the input circuits, therefore we actually can hear the image on the screen. 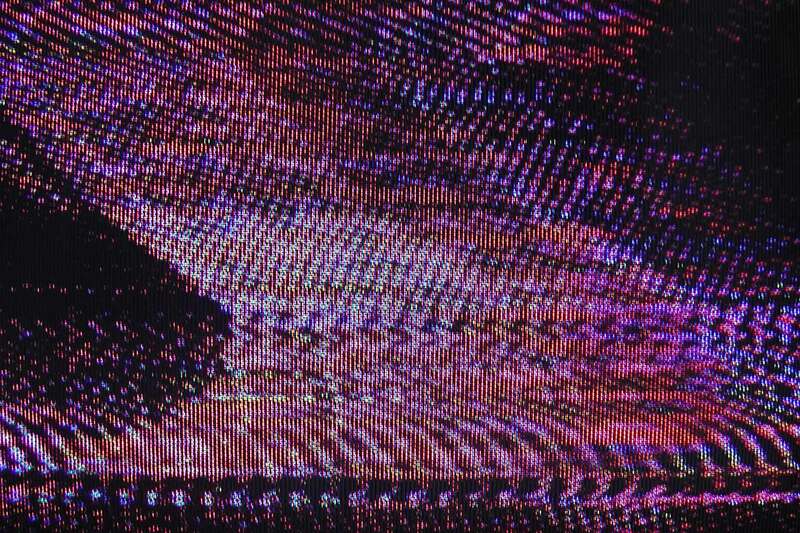 The main part of the project is the open set of videos "Monoethyr", which consist of audiovisual improvisation records performed at different times. Each video in the set has an identifier consisting of four digits and denoting the number and type of generators used and the receive channel. All videos can be displayed both independently and in combination with other works from the set in a multi-screen mode. 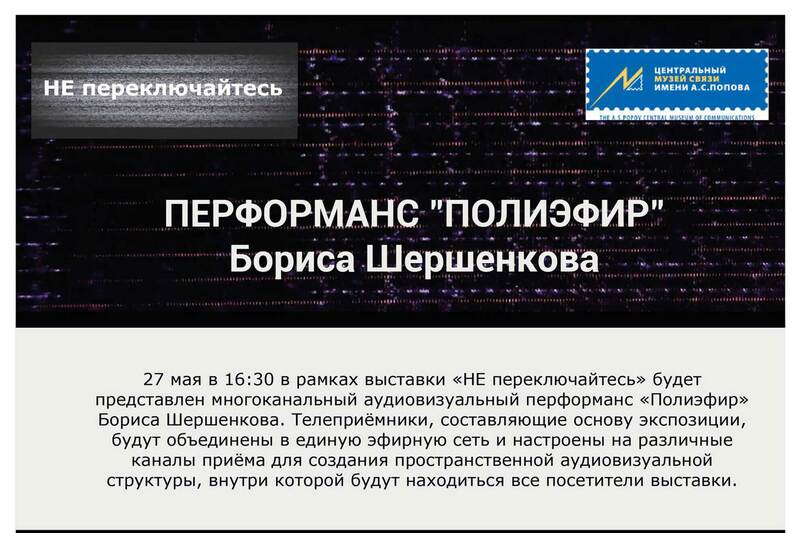 The second part of the project is a live performance "Polyether", in which several analog TV receivers are used. Each TV is tuned to different channel and located around the perimeter of the auditorium. 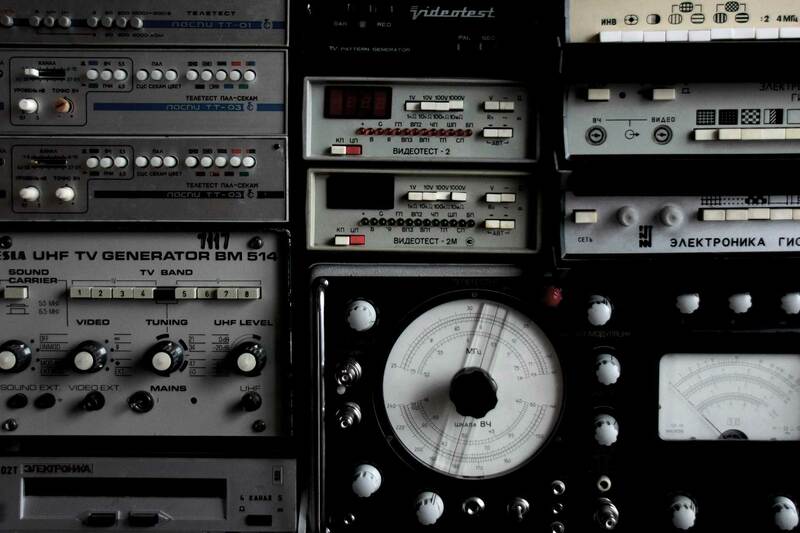 The spatial audiovisual composition created by the performer in real time with by means of several signal generators, allowing to change the frequency of carriers for redirecting signals to different TV receivers, thus moving them in space.